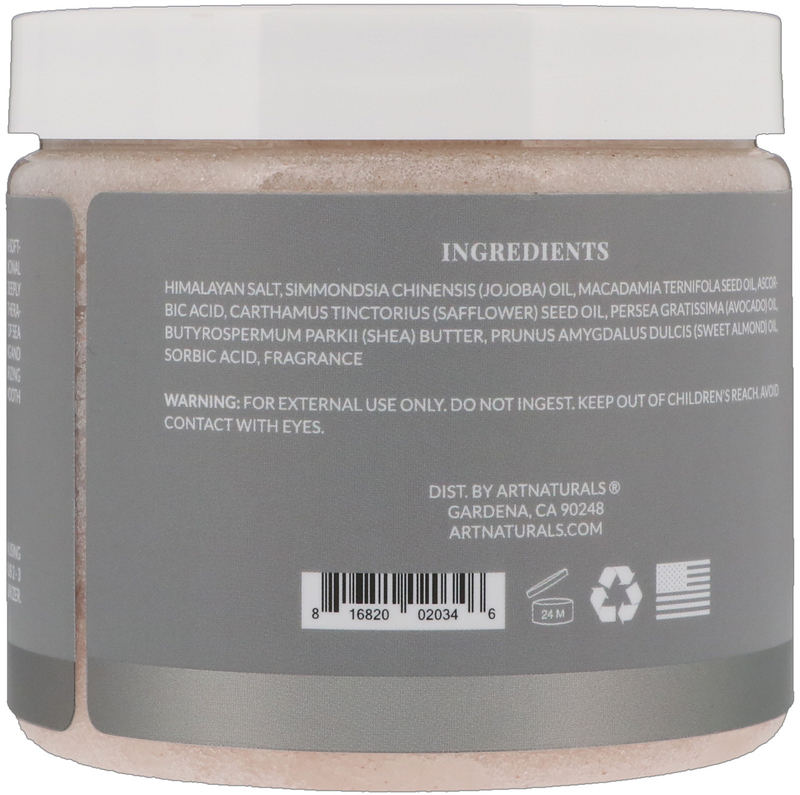 A proprietary blend of body-beautifying botanicals, including skin-softening jojoba and macadamia oils. 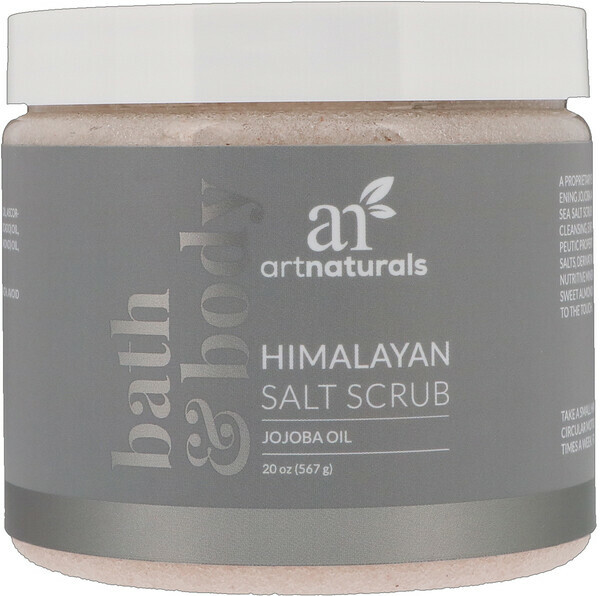 This soothing and healing medicinal sea salt scrub will help buff away your aches and pains, while deeply cleansing, exfoliating, and nourishing the skin. Prized for their therapeutic properties on the skin, Himalayan pink sea salts, derivative of the ancient sea mines, and enriched in detoxifying and nutritive minerals. Fatty acid-rich shea butter and intensely moisturizing sweet almond oil leave skin remarkably hydrated, glowing, and smooth to the touch. Take a small handful of the scrub and gently massage onto wet skin using circular motions. Rinse thoroughly. Can be used as a body/foot scrub 2-3 times a week. For added moisture follow with your favorite moisturizer. Himalayan salt, simmondsia chinensis (jojoba) oil, macadamia ternifola seed oil, ascorbic acid, carthamus tinctorius (safflower) seed oil, persea gratissima (avocado) oil, butyrospermum parkii (shea) butter, prunus amygdalus dulcis (sweet almond) oil, sorbic acid, fragrance. For external use only. Do not ingest. Keep out of children's reach. Avoid contact with eyes.